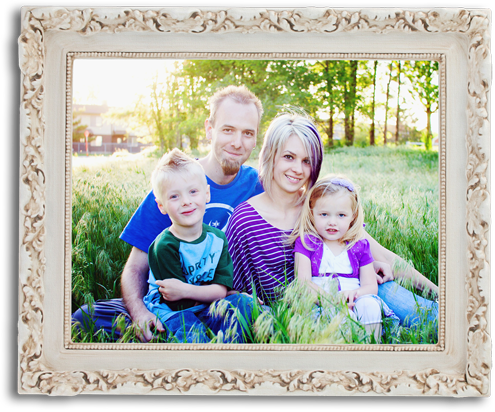 I am located in American Fork, Utah, am a work from home mother of two and married to my best friend. Our first child inherited my husband's crocheted baby blanket and our son instantly fell in love with it. Seeing how tattered it was becoming I set out to recreate it so he would still have one if the other became too worn. After completeing the blanket, I was hooked. I made another one for our little girl and then moved on to flower clips and hats. I love creating new things for my little ones to wear and hope you enjoy them too! All of my items are handmade to order, using super soft acrylic yarn. Great for Birthday and Baby Shower gifts or Photo Props. My crochet items can be made to match any outfit, favorite sports team or school colors. Custom orders are always welcome, choose your own style, size or color. Don't see anything you're looking for? Send me a picture of something similar and i'll let you know if I can create it for you. Click HERE to fill out the contact form and give me links to pictures or info that will help me determine if I can make your custom crochet product. Instructions for care: Hand wash in cold water and mild soap. Gently roll in a dry towel to remove excess moisture. Re-shape, lay flat to dry. Please be aware that all sizes are approximate. Each item is an individual creation hand made by me so sizes may vary slightly. Each hat needs time to "break in" and will have more stretch after continuous wear. If you're ordering for someone who has a slightly larger head or want to get the most use out of your product as your child grows, please order one size larger. 0-3 months up to 14"
Note: Colors may vary slightly from picture due to computer monitor projections and photograph lighting. Please ensure that you are happy with color choices BEFORE ordering. Made in a smoke-free home. if you are interested in placing a bulk order, we can offer discounts. Currently we do not have any specific discounts in mind and will take them on a case by case basis. Please Contact me and let me know what your needs are. I take great pride in making sure every product on my website is something that I love and believe in. If it does not meet my strict quality requirements, I won't sell it. Each item is made to order unless specified which means I personally hand make every item that ships out. Once your order has been completed, I ensure it meets my quality specifications and if not, it gets re-made. I strive for 100% satisfaction and to date, have not had any non satisfied customers!